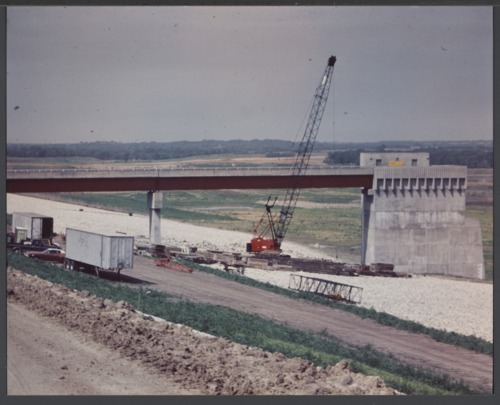 Four photographs showing construction on Hillsdale Lake in Miami County, Kansas. The lake was built by the United State Army Corps of Engineers and completed in 1982. It is managed by the Kansas State Park System. Hillsdale offers camping, fishing, boating, hunting, hiking, equestrian trails, and relaxation within 40 minutes of the Kansas City Metropolitan Area.